Marsha DeHaven’s Adeline bear was made from the heart and was especially precious to her. We hope we have created a faithful interpretation which captures Marsha’s magic and the evocative story behind it. Very similar, but a little smaller than the original, Adeline is made of aged, red mohair with black button eyes. 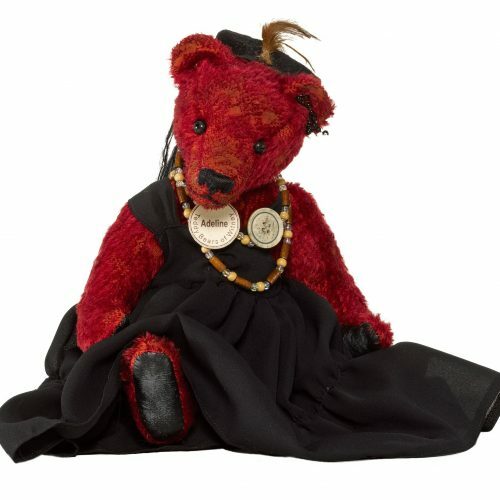 Her headwear, dress and necklace are all based on those of the bear in our museum. Filled with polyfibre and weighted with plastic pellets.